The trip was great! Johanna was so wonderful and the porters were so nice. We could not get over how great the food was every single day. Loved the waking up to tea every morning. I love my guide. She was so solicitous through the trek. Her skill kept a 74 year old dude safe, having fun, and this was a trip of a lifetime. Best service ever. Reservations were efficiently handled with good and helpful suggestions for various options. 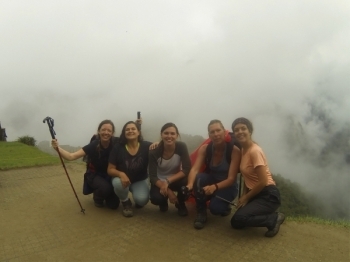 Our guide,Juana was experienced and very attentive.The cook and Porter team of 8 people showed strength, endurance, while being patient and upbeat. Porters show amazing skills and deserve their pay. Cocinero Modesto displayed great skills in preparing delicious and varied meals in no time. Oke,hopelijk werkt de 2 de type beurt wel!! Nu wel in het nederlands! , , , het was even leuke ervaring!! het etenwas super lekker!de kook deed een geweldige job! Elle day een 3 Ganges menu,alles even lekker! . 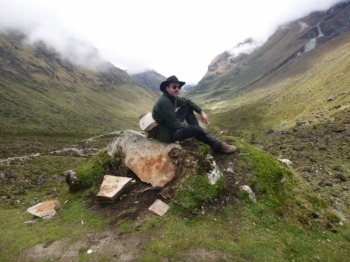 After spending a year of thinking about what my next adventure would I decided on doing the inca trail, I asked some friends to do it with me, but trying to organize a date was impossible. I decided I would book for just me and Michael and the others could deal with it them selves. 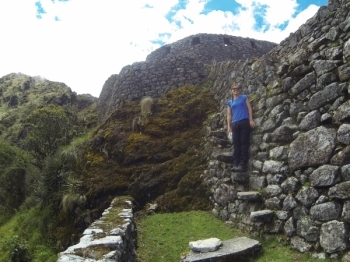 before booking this four day / three night Machu Picchu tour I was concerned as to whether I could conquer it or not, needless to say I bit the bullet and booked. 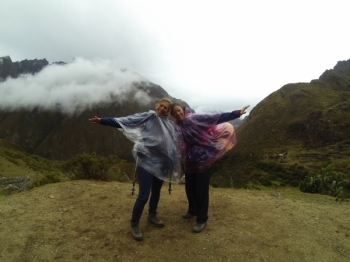 Had an amazing four days doing the Inca trail hike to Machu Picchu with our guides Chachy and Marco who were both fantastic, good fun and very informative. it was a fine experience, sometimes hard but always good. We had a very good group, nice Aussies it was always laughing with our little brothers,. Big fun! The meals are fantastic!!! Always a variety, good chocolate dessert, !!! Mam and dad were fantastic so as the crew of porters, they did an amassing job!!! . The trek was organized well. The guides were very very helpful. The food was absolutely beautifully amazing. The walk was very long. 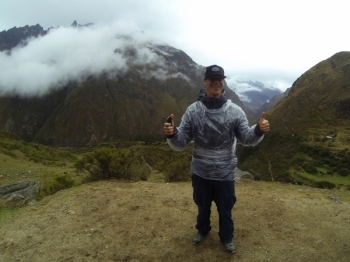 The inca trail was hard but very fun! We had a great group of people and chachi and Marco were really great. The porters were amazing and made such good food! The views were incredible. Day one was fairly easy to start with. Day 2 was very hard. Lots and lots of stairs. Day 3 was mostly downhill. 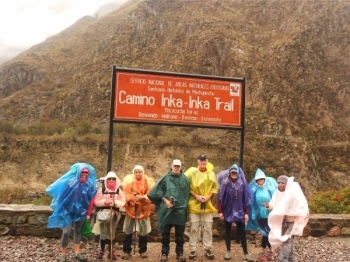 Inca Trail has been one of the best experience of my life !!!!! . It was by no means easy . but like many the life , it was very well organized , the food was amazing . 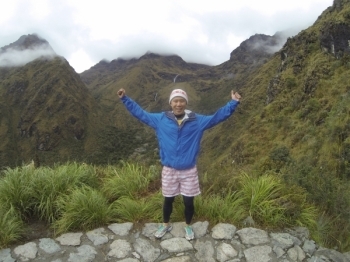 The trek was one of the hardest adventures of my life and great adventure , thiswas a great experience . The meal was very delicious. 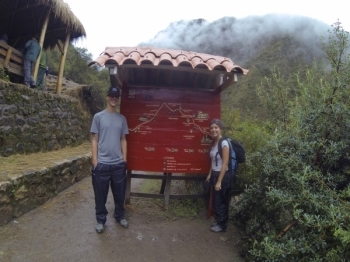 The guides Miguel was very knowledgeable and so fanny. he is very helpful and he speaks good English . I really enjoyed this trip ,I have will last forever. A really amazing tour. 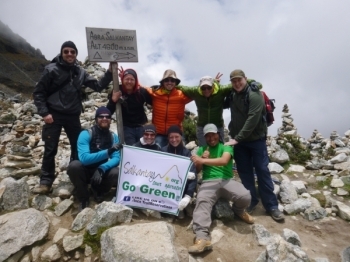 Perfect planed with great stuff and a great guide. 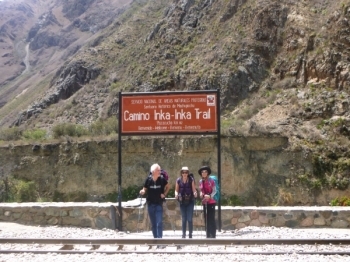 It a great option to the Inca Trail. I had a great time and met new friends. 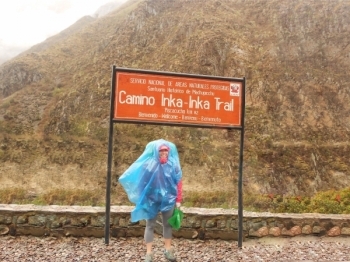 Totally recommended and a good option to the overlooked Inca Trail !. Take as less stuff with you as possible and a lot of sun cream and mosquito spray. 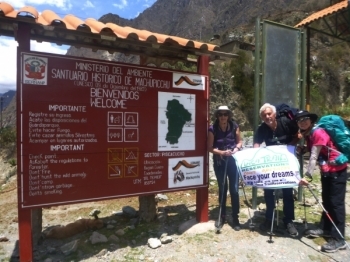 Some days acclimatization in cusco will help you a lot bcs Salkantay pass is 4600 m high. 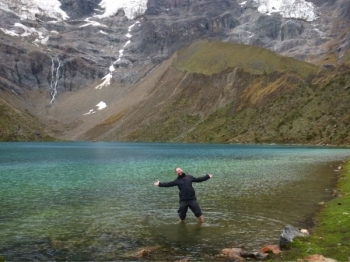 I had this trek recommended from other travelers and my expectations for Salkantay trek was therefore very high. All I can say is that it lived up to all of my expectations and even a bit more!